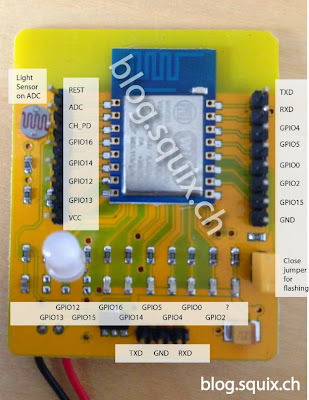 Tested passive Buzzer with ESP8266 development board and ESP8266Basic. Buzzer (+) is connected to pin 15 (Where also RGB led is connected) . Other pin connected to GND. If buzzer is connected to "not RGB pins" ( 0 ,2 4, 5, 14 ,16) the corresponding led lights up.